Last month Auto Recyclers Association (Founded in 1943, ARA represents an industry dedicated to the efficient removal and reuse of automotive parts, and the safe disposal of inoperable motor vehicles. 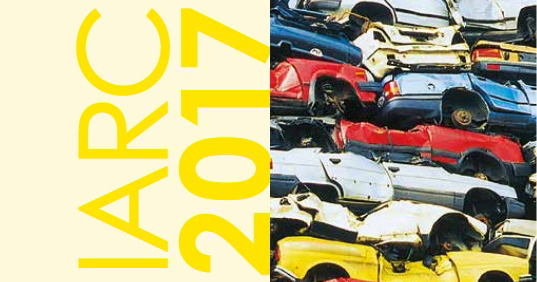 ), CEO Michael Wilson presented at the International Automotive Recycling Congress (IARC) in Berlin. Leading representatives of the international automobile recycling industry came together in Berlin for the annual international event. From March 22 to 24, approximately 200 attendees and 20 exhibitors from 22 different countries assembled in the German capital to participate in a wide-ranging program which included nearly 30 presentations. ARA’s presentation was entitled “Automotive Manufacturers Take Circular Economy Detour”. Wilson noted that despite touting commitments to the basic tenants of a circular economy - recovering all products, components and materials at their highest utility and value – automakers are now opposing the fundamental reutilization of their company’s very own parts once they have left a dealership. In his presentation, Wilson articulated that it is time for automakers to abandon these anti-environmental positions on the reutilization of OEM parts -- the very parts that their companies manufactured. Auto manufacturers must be held to stand by the durability and quality of the parts they produce. Automakers also must be required to go beyond a narrow policy of material reuse to one that requires corporate support of basic reuse principles that accept the reutilization of OEM parts and components for their same application that maximizes the life cycle value of a product that offers greater environmental benefits. Next year, the event will be held in Vienna March 14-16 2018. ARA’s mission is to advance the automotive recycling industry and promote its beneficial effects on society. ARA aims to further the automotive recycling industry and ARA member businesses through services and programs to increase public awareness of the industry’s role in conserving the future through automotive recycling and to build awareness of the industry’s value as a high quality, low cost alternative for the automotive consumer. ARA provides safety, educational, advocacy, networking, business, market intelligence and technical resources to serve the collective interests of its members. The many affiliated chapter organizations of ARA are a vital part of the Association. ARA affiliated chapters represent professional automotive recyclers in the United States and around the world.